Alfred Schreyer was a violinist, singer and socio-cultural activist of Jewish origin; the last student of Bruno Schulz living in Drohobych. He was born on 8th May, 1922, in Drohobych, and died on 25th April, 2015, in Warsaw. A representative of the waning world of the Jewish pre-war intelligentsia and a man of extraordinary culture and charm who told his fascinating stories in beautiful Polish. For many years Schreyer devoted himself to preserving the culture of the pre-war borderlands. He successfully promoted the work of Bruno Schulz and disseminated the musical tradition of his homeland and the Second Republic – he performed recitals in Polish and Yiddish, bringing to life traditional Jewish, Ukrainian, and Polish melodies. Schreyer spent his childhood in Jasło, where his father, Dr Beno Schreyer, held a managerial position in the local oil refinery. After returning to Drohobych in 1932, he enrolled in the Henryk Sienkiewicz Polish Private Gymnasium, where he was a student of Józefina Szelińska, a Polish translator and a Polonist, unofficially engaged to Bruno Schulz. From 1934 he studied at the Władysław Jagiełło Gymnasium in Drohobycz. During these four years he took drawing and manual work classes taught by Bruno Schulz. During the Second World War, Alfred Schreyer’s entire family was killed – his father, brother and grandmother in a gas chamber, and his mother and grandfather by shooting. He was a prisoner of several Nazi concentration camps, namely Płaszow, Gross-Rosen, Buchenwald and Taucha near Leipzig. According to the artist, the technical skills which he owed to Schulz saved his life more than once during the occupation. In 1945, he survived the so-called death march, which could have been his last, if it were not for his vocal talent, which made him famous among his fellow prisoners: he often sang favourite popular songs in the camp. Schreyer was recognised as an opera singer by one of the guards and pushed into a nearby ditch. Later, he was out and taken by bicycle by a boy dressed in Hitler Youth trousers. The end of the war found him in Germany and he would have perhaps stayed there working as a translator, but as a citizen of the USSR, he was forced to go back to his place of residence. He made attempts to reach his aunt living in Argentina, but he failed as he did not know her exact address. Thus in 1946 Alfred Schreyer returned to his hometown, where he did musical studies at the Pedagogical University. He was a teacher in the Barwiński Secondary Music School in Drohobych. In the meantime he performed in a cinema orchestra and a restaurant, among others. In those days, Schreyer became locally famous as a charming musician, but he was also subject to different sorts of harassment in relation to his Jewish origins. Yet he never abandoned music – he arranged popular pre-war hits, wrote music to Ivan Franko’s texts, and took care to maintain the tradition of singing songs in the Yiddish language. There were times when I thought of moving to Poland. But my wife, a lawyer from Kharkov, brought up in the Soviet spirit and convinced that the Soviet Union was the most beautiful country in the world, didn’t want to hear a word of it. Now my daughter wants me to live with them in Germany. And I feel I’m needed here. In the nineties I started travelling to Poland with the Odrodzenie (Rebirth) children’s choir. It was founded in 1990 and that year we regained our parish church of St. Bartholomew. I taught children Polish Christmas carols. I took a microphone from the university, and a violin. And for the first time in fifty years a Polish Christmas carol sounded here in Drohobych during the Midnight Mass. 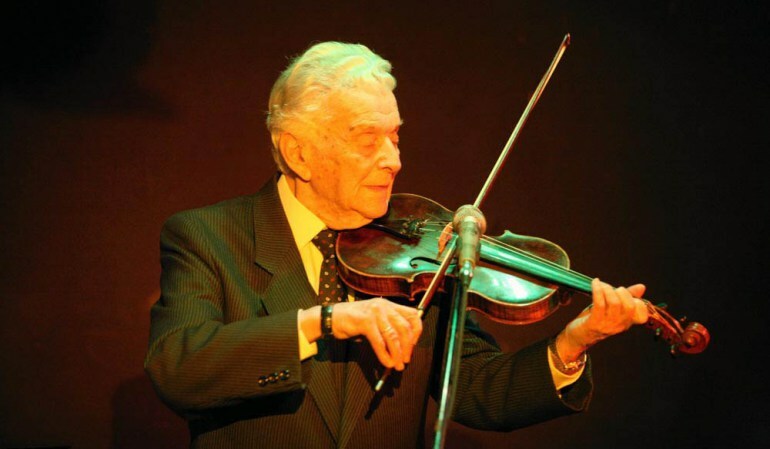 After he retired the artist played the violin and sang Yiddish songs and Polish pre-war tangos at occasional concerts. He kept the memory of his teacher alive by regularly participating in the Bruno Schulz Festival in Drohobych, among other activities. As a guardian of the memory of Bruno Schulz, Alfred Schreyer was often visited by artists from all over the world, but mainly Poland. He always had time for Schulz. Among his guests were Ryszard Kapuściński and Allan Starski. Schulz’s pupil inspired the documentary Alfred Schreyer from Drohobych (2010), directed by Martin Giżycki. In addition, he played a witness of past times and a guide in his hometown, where the Polish poet Kazimierz Wierzyński was also born, in the film Gdzież jesteście przyjaciele moi… (Where Are You, My Friends…, 1995), directed by Mariusz Kobzdej. Characters associated with the local school play a significant role in the story – Professor Bernard Mantel, Professor Michał Einleger, Mścisław Mściwujski, who wrote about the history of the city of Drohobych, Józefina Szelińska, and, of course, Bruno Schulz. Alfred Schreyer – violin and vocals. Tadeusz Serwatko – accordion. Jew rescued from the Holocaust thanks to Ms Serwatkowa. Speaks excellent Polish. Spent almost all his adult life as a musician on a Soviet liner. Circumnavigated the world. Lowa Łobanow – piano. Boiler-house worker. The only person in Drohobych to know Hebrew. They played at the International Bruno Schulz Festival in Drohobych and the Jewish Culture Festival in Kraków, Lublin, and Kazimierz Dolny. 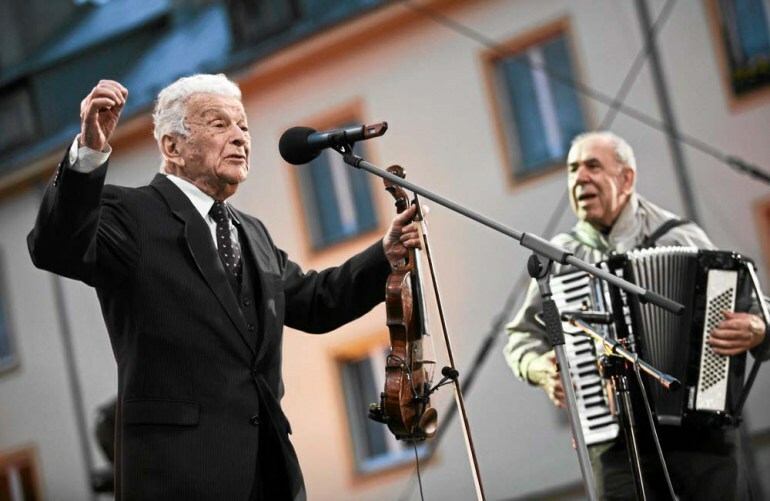 The concert of Alfred Schreyer and his musicians at the Polish Theatre in Warsaw in May 2011 was an extraordinary event. Touched by their music, the audience in Berlin bought the trio a new accordion. During the exhibition Towards Schulz in Lviv in 2005, his pupil from Drohobycz met Grzegorz Gauden, the current president of the Chamber of Books. When Alfred Schreyer’s health deteriorated significantly, Gauden arranged medical treatment for him in Poland. The musician began to show signs of improvement in the hospital in Warsaw. Ultimately, however, his exhausted body lost the battle against the disease. In 2012, Alfred Schreyer was awarded the Gold Medal for Merit to Culture Gloria Artis and the Officer’s Cross of the Order of Merit of the Republic of Poland.